Product prices and availability are accurate as of 2019-04-23 02:15:29 UTC and are subject to change. Any price and availability information displayed on http://www.amazon.com/ at the time of purchase will apply to the purchase of this product. Material: Surface layer: eco-friendly sandwich breathable layer. Lining: soft pure cotton sweat-absorbent layer that protects the baby fully and is breathable in all directions. 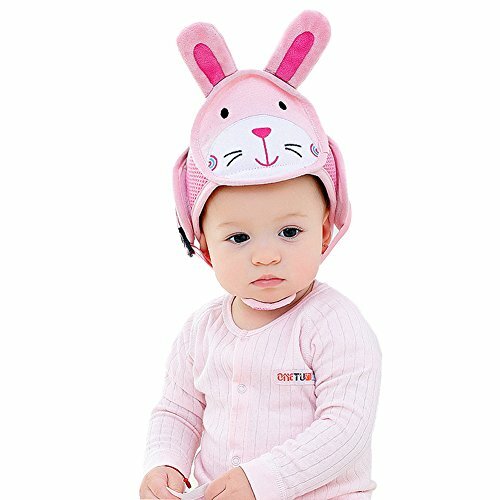 The safety helmet can protect baby's head from bumps and bruises while learning to walk. Designed for maximum shock absorption and impact resistance. Material: cotton. Soft, comfortable & breathable, top quality. The hat has changeable overall style, light weight and large adjustable size. Hat circumference(approx. ): 42-62 cm/ 16.54-24.41 inch. Fits toddlers for 6-60 months.